2017 was quite a successful year for the big auction houses. Both Sotheby’s and Christie’s focused aggressively on fine jewelry sales…and the year-end numbers highlight how the dedicated work paid off. The two auction houses combined for more than $1.1 billion in sales, with Christie’s achieving $556.7 million and Sotheby’s $551.3 million. Both auction houses expanded its jewelry offerings with an increased eCommerce presence and with special sales held throughout the year. 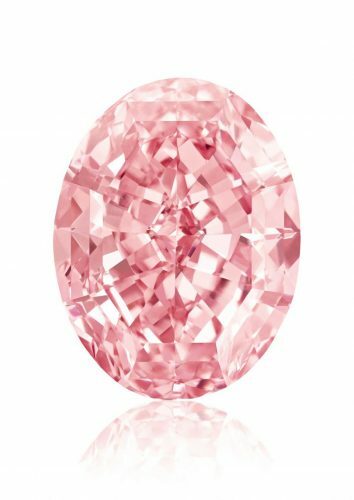 And while Sotheby’s fell behind Christie’s in total jewelry auction sales, it did spearhead the sale of the world auction record for any gem or jewel: the CTF Pink Star. The CTF Pink Star is a 59.60-carat internally flawless fancy vivid pink diamond which sold for more than $71.1 million ($1.19 million per carat) at Sotheby’s Hong Kong on April 4, 2017. Let’s see what surprises lie ahead for 2018!